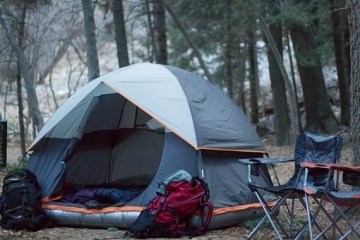 There’s a healthy amount of options for compact camping stoves, with brands like Biolite, Survival Stove, and Jetboil offering really good models. Now, if only you have equally good compact cookware to go with your portable stove. 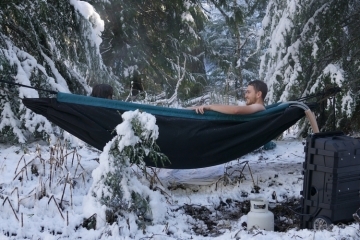 Well, that’s what the Firebox Ultra Cook Kit hopes to bring to your outdoor stash. A set of pans and plates, the kit comes with elements all designed specifically for use when camping. That means, they’re compact, hardy, and designed to withstand the elements, so you can feast like proper civilized folks even while slumming it in the wild. 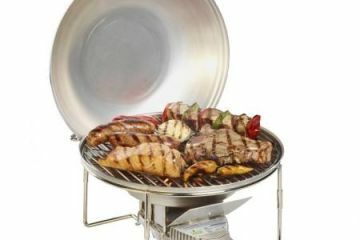 The Firebox Ultra Cook Kit consists of six main items: an 8-inch frypan, a 10-inch frypan, an 8-inch camp plate, a 10-inch camp plate, an 8-inch cowboy plate, and a 10-inch cowboy plate. If you’re curious about the differences with the plates, the camp plate is shallow (half an inch deep) while the cowboy plate has some depth (1.5 inches), allowing you to eat soupy stuff on it without making a mess. 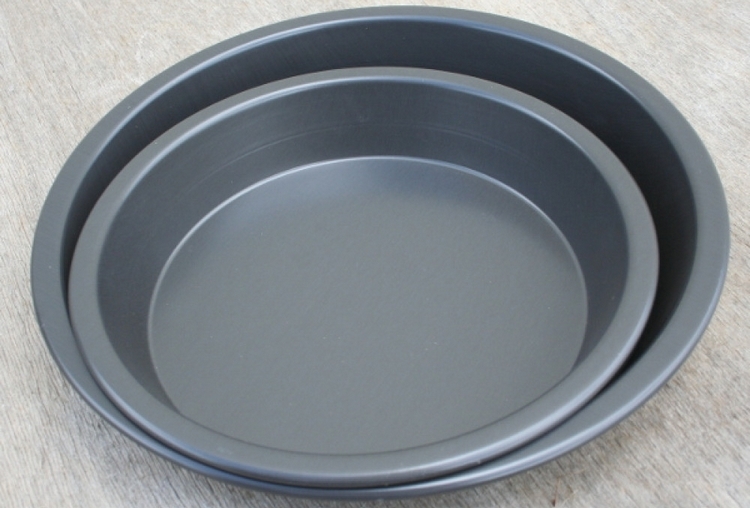 The cowboy plates, by the way, can nest inside the frypans, while the plates can nest inside the cowboy plates, so they don’t need to take up more space than they have to, whether in your bag, around camp, or in a cabinet at home. Neither the pans nor the plates have any built-in handles, allowing them to pack down very compact when sitting in your bag. 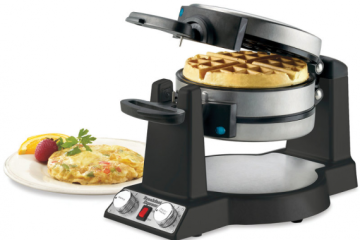 Instead, the kit comes with a pliers-like tool they’re calling a lifter, which you can use to clip the pans and plates securely along the edges in order to lift them without having to touch them while they’re still hot. 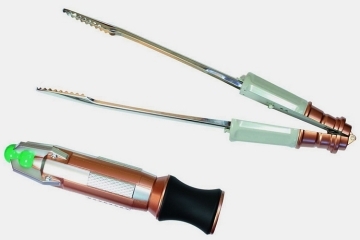 The lifter, by the way, comes in two sizes: regular and long, with the regular coming standard with the kit (the long is optional). And yes, you can use the lifter to pick up any stuff that you cook with outdoors (like cans and metal bottles), making it a very useful tool around camp. The Firebox Ultra Cook Kit’s frypans are made from aluminum that’s coated with a ceramic layer, which, according to the outfit, allows you to season it the same way you would a cast iron pan. And yes, you will have to season it before using it the first time and they include instructions in the kit on how to do just that. For the extra hassle, though, they promise the seasoning will impart an added taste to your food that makes it taste like it was cooked on a cast iron material. Weirdly enough, the plates are made from the same material, which allows you to use as them as cookware, too, although it does mean you’re carrying plates that are way heavier than the plastic ones you have in the kitchen. Oh yeah, don’t forget to season the plates, in case you want to use them for cooking, too, since the finish, apparently, requires it. 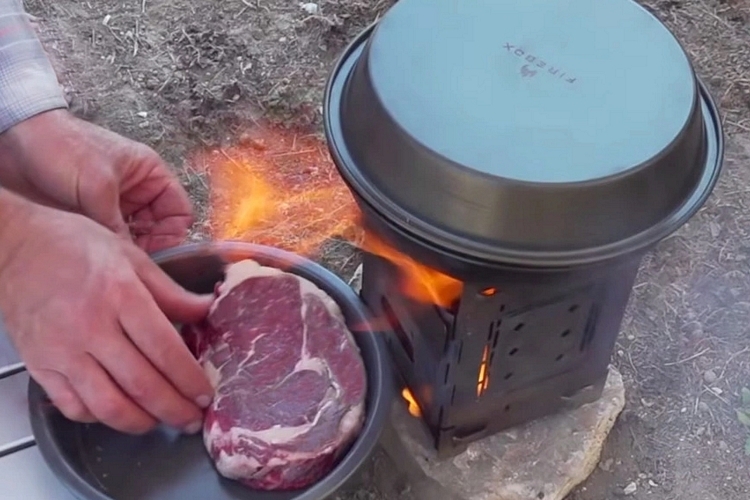 A Kickstarter campaign is currently running for the Firebox Ultra Cook Kit. Pledges to reserve a unit start at $49. I never heard of that design being called a cowboy plater before, but it’s what I generally use when I am out camping/hiking/hunting. 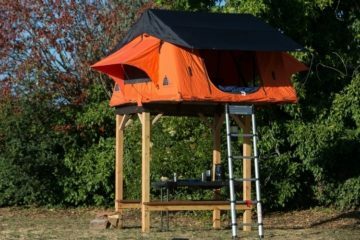 The ultralight hikers might scoff at this set, but I would prefer to carry a few extra ounces and be able to cook and eat comfortably when I am in the backcountry. If I wanted to save weight with the Firebox Ultra Cook Kit I could just leave the regular plates and take the cowboy plates. For $49 this is a good deal. 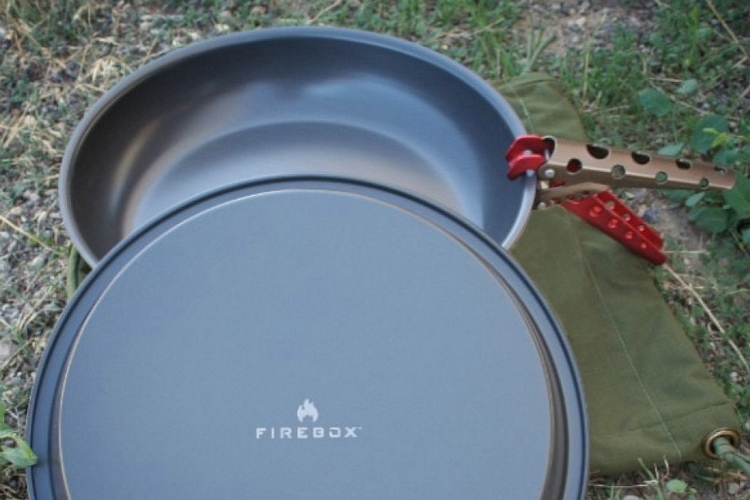 Do you season the Firebox Ultra Cook Kit the same way you would season a cast iron pan? I have always used olive oil, coated it thick in the pan, then stick it in the oven at 400 degrees for a few hours. I then will only use greasy foods such as bacon to cook in it until the pan is flat and evened out from all the oil. It works well for cast iron, but it seems like overkill to season the Firebox Ultra Cook Kit like this. It says right in the article that you CAN season it like a cast iron pan because the aluminum is coated with a ceramic layer. Jeesh, at least read the article before commenting on it. Seasoning a ceramic layered aluminum is a bit different. I generally just use peanut oil and pr it into the pan and then place it on the burner on medium heat. Keep it on medium heat, because you want the oil to heat up slowly to help it penetrate all the small areas. Keep it on medium heat until it begins to smoke and then turn off the heat and leave for a few more minutes. Pour out any remaining oil and wipe gently with a paper towel. Congrats, you have now seasoned your ceramic coated aluminum cook pan. The difference with aluminum over cast iron is how often you need to season. A good seasoning on a cast iron pan can last for the entire lifespan of the pan. You are probably going to die before the seasoning wears off, but with an aluminum seasoning, you need to do it every 6 months or so, sometimes sooner depending on what you cook. If your food is sticking to the aluminum pan, then it is time to reseason it. Although the seasoning needs to be done regularly on alu8mnum, I still prefer it over cast iron for camping and hiking. The aluminum is so much lighter. There is no way I would ever backpack a cast iron pan into the backcountry unless I was running from a zombie apocalypse and didn’t expect to return to civilization for an extended period. The method you described to season the aluminum pans is the same method I use to season cast iron, except I use Crisco instead of peanut oil.